After two days of plummeting stocks, Dow finished down more than 1,100 points with the biggest one-day drop in history. Here's a look at how local companies fared today. 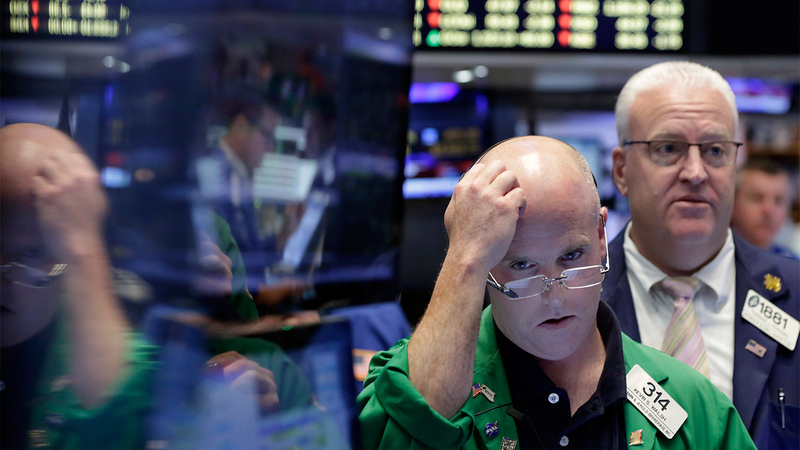 The Dow Jones industrial average dropped 1,175 points, or 4.6 percent, to 24,345 in heavy trading Monday. The Standard & Poor's 500 index fell 113 points or 4.1 percent, to 2,648. The Nasdaq composite plunged 273 points or 3.78 percent, to 6,967. It was the biggest drop for S&P 500 since August 2011 and the worst decline for Dow since September 2008 during its 777-point plunge. More on Wall Street's bad day here.